When you think of “living the dream”, you probably don’t picture grabbing your honey’s hand and hightailing it to a dreamy castle for a magical wedding (with or without an entourage in tow)… but perhaps you should. If you’ve always dreamed of a fairytale wedding to begin your happy ever after, why not have a destination wedding in a European castle? Not only is a castle très-beautiful, it will imbue your special day with period drama, while adding an air of distinguished elegance and glamour to your nuptials. Grandiose architecture, gorgeous backdrops and exquisite interiors aside, there’s also the rich history and the five-star service that’ll have you feeling like a princess in your own right! Think sprawling lawns, eloquent chapels, decadent banquet tables, and Gatsby-style chandeliers that set the scene for an uber decadent and opulent affair. 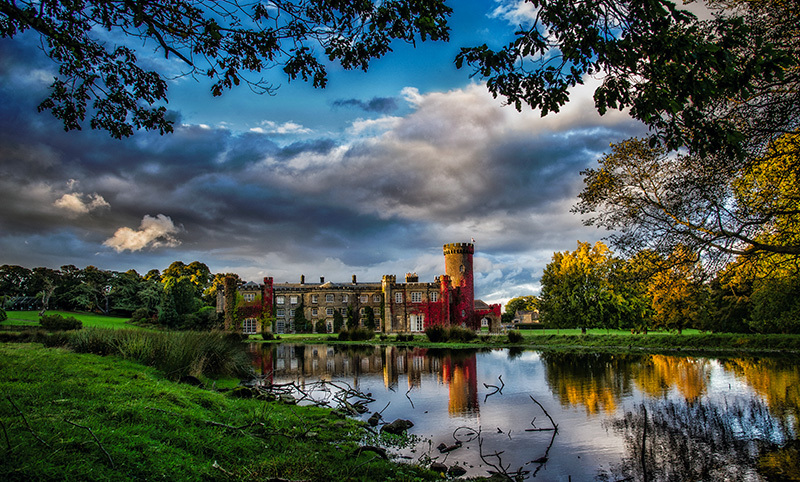 Here are three drool-worthy castles to get your dreams started. Imagine being set down in a helicopter within the majestic grounds of a sprawling ancient woodland on the picturesque shores of Lake Lough Corrib, and being welcomed at the gates with the hypnotic sounds of traditional bagpipes. 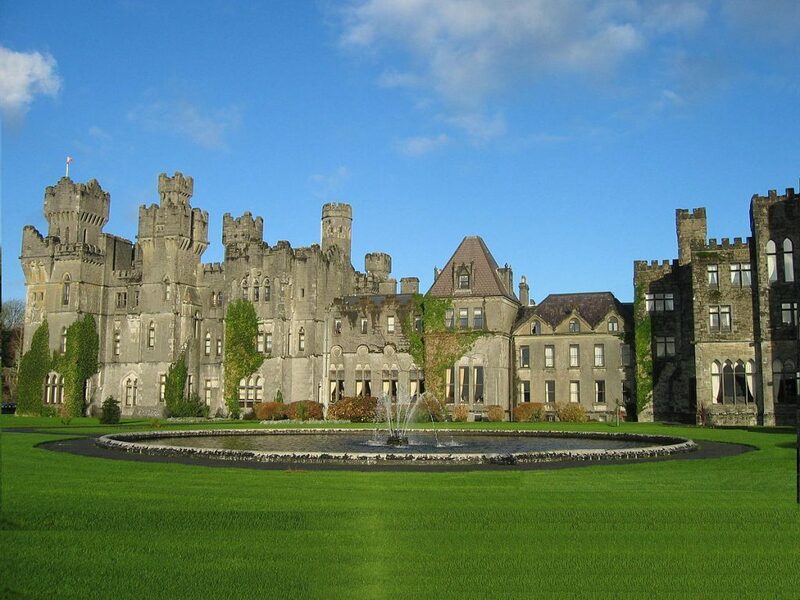 Iconic Ashford Castle has won multiple awards as the “most romantic hotel” in Europe. 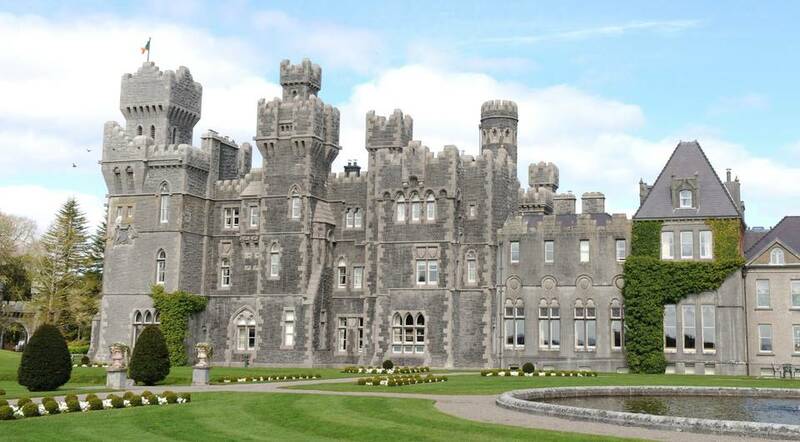 Built in 1228, Ashford Castle (ashfordcastle.com) is renowned for its homely ambience and dignified interiors. Set on 350 acres, the castle is able to exclusively accommodate up to 164 guests in luxurious rooms and suites tucked away in turrets, and in a spectacular Lakeside Cottage. The antique furnishings, decadent artwork, bespoke beds swathed in plush Egyptian cotton, and opulent touches like sumptuous towelling are fit for royalty. Have a civil ceremony in its selection of elegant venues or say “I do” in the on-site Protestant Church, or at one of the Roman Catholic churches nearby. Ashford Castle also has a bar, tennis court, beautiful Renaissance fireplace, and walled Victorian gardens – oh and who can resist a hearty Irish breakfast after a big day and night of festivities. Do: Treat yourself and your guests to some falconry or archery lessons at the castle, or a luxurious treatment at its signature Spa. Make an entrance to the fanfare of trumpets, gunfire and halberdiers at the gates of this mid-11th century castle, one hour north-east of Prague. This former Gothic fortress, Detenice Château Resort (detenice.cz/en), is comprised of a Baroque Castle, Château Park and Medieval Tavern, as well as a number of hotels. A reception in the Medieval Tavern involves dining on rustic stone and oak tables. Watch the food being made before your eyes on an open fire and enjoy the backdrop of live music, table dancers, fakirs and swordsmen. After your wedding, retreat to the 41-room Medieval Hotel, which is reportedly the only hotel in the Czech Republic to be listed amongst the most “Unusual and Unique Hotels of the World“. Do: Check out the unique weapons collection from the Knights of Malta and the preserved Gothic, Renaissance and Baroque frescoes and wall paintings. 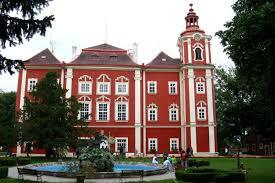 Also be sure to visit the on-site horse stables and the brewery that even houses a beer museum. Pledge your love in the mystical Druid’s Temple in Swinton Park (swintonpark.co.uk) with its large stone altar and period styling of hay bale seats and wild flowers adorning shepherd hooks. Follow your ceremony with a reception at Swinton Bivouac on the edge of the moors in surrounding Swinton Estate, either glamping in meadow yurts or woodland shacks, or lodging in the bunk barn. The unique, rustic-restored Deerhouse is also a fabulous setting for a celebration, offering spectacular views of the castle, nearby lake and ancient trees. Candle lighting, torch flames, glowing braziers and beautiful marquees all add a romantic ambience. But if a castle is what you’re after, stunning Swinton Castle is set amid 200 acres of parkland in the Yorkshire Dales, and surrounded by the 20,000-acre Swinton Estate. The luxurious and secluded 17th Century castle is a stately residence that exudes all the grandeur you’d expect from a traditional English homestead. Each of its 32 bedrooms are individually designed and beautifully furnished with antiques and family portraits. There’s also a private island with a Georgian summerhouse set on a lake in the parkland, plus a cookery school, spa and pristine walled gardens for guests to enjoy. Be treated to award-winning British fare made with fresh ingredients plucked straight from the gardens. Do: Try your hand at one of the many leisure activities offered at Swinton Estate including shooting, falconry, fishing, riding and golf.